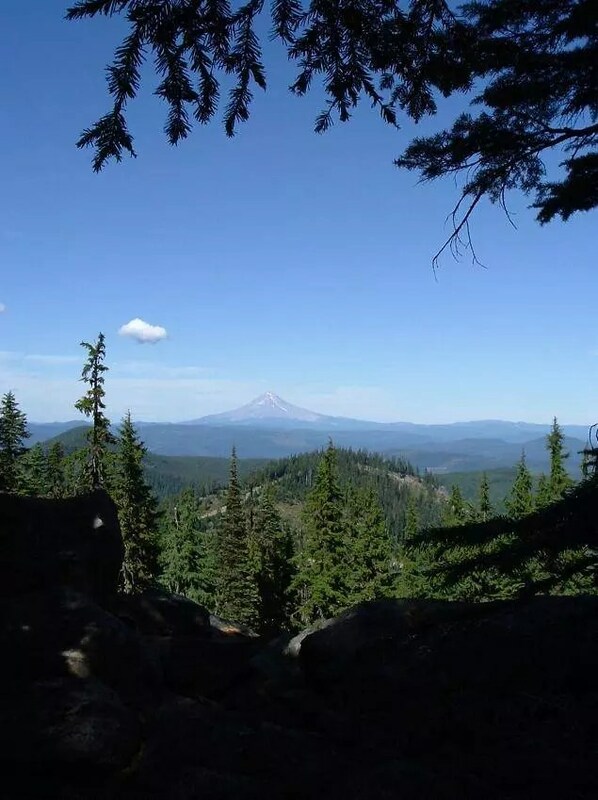 This trail is easy and short with excellent views of the Cascade Range from a former lookout site. This trail is incorporated into the Rho Ridge Trail 564. There are more scenic attactions south along the ridge for about a half mile before the trail passes largely through timbered areas. The trail continues north and south for miles in each direction connecting by way of some road walking to the Burnt Granite Trail 595 north and Rho Ridge Trail 564 south.